Malignant Melanoma is a type of skin cancer where there is abnormal growth of skin cells in the melanocytes cells within the epidermis skin layer and occurs in fair skinned people exposed to excessive sun. 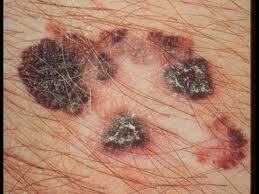 Melanomas are highly malignant and can spread via the blood and lymph vessels. 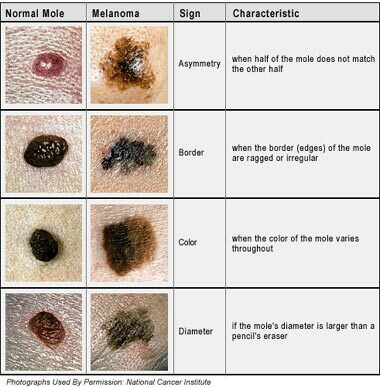 Melanomas can present as a new pigmented lesions, or change within an existing mole (pigment, bleed, irritation) over a 2 to 6 months period. Any change within a mole should be investigated. Treatment is surgery and early diagnosed melanoma is easily treated successfully. The lesion is widely excised and then sent to pathology for examination to confirm the diagnosis, level of invasion and ensure the tumour has been fully removed. 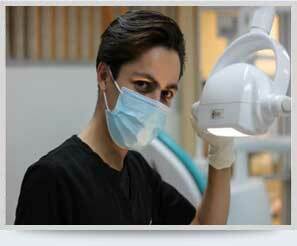 Usually further surgery is required for a wider excision to prevent any local occurrence. 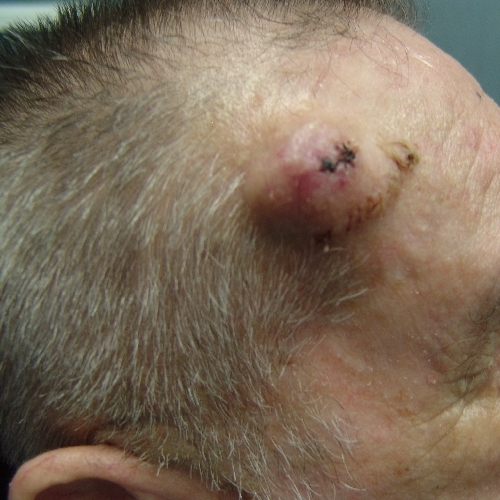 Sometimes additional treatment is required to eliminate further occurrence of melanoma eg lymph gland clearance.